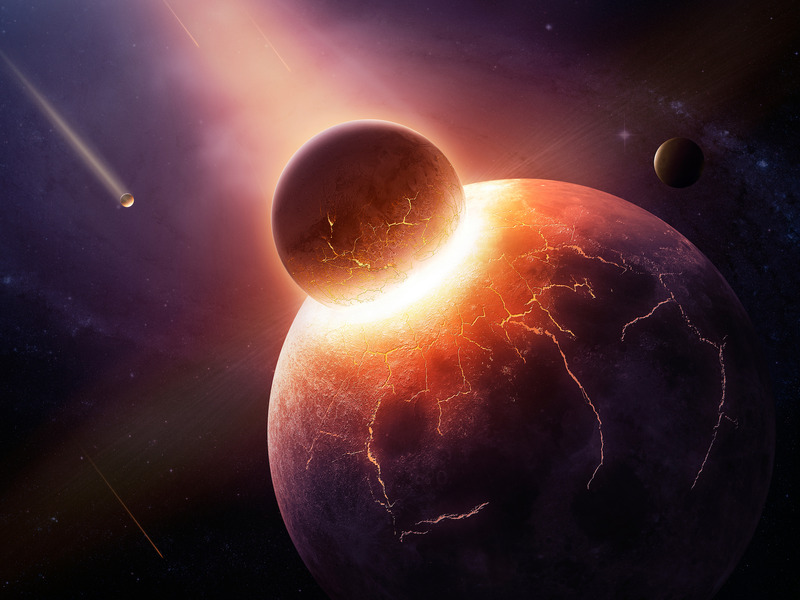 The diamonds and impurities found inside them suggest the rock came from inside a planet. After a 4.5-billion-year journey through space, a car-size rock fell to Earth on October 7, 2008. The stony meteorite, called asteroid 2008 TC3, plunged through the atmosphere, exploded, and rained its pieces over the Nubian Desert in Africa. Meteorite hunters recovered about 50 fragments, which researchers later named the "Almahata Sitta" collection after a nearby train station in Sudan. 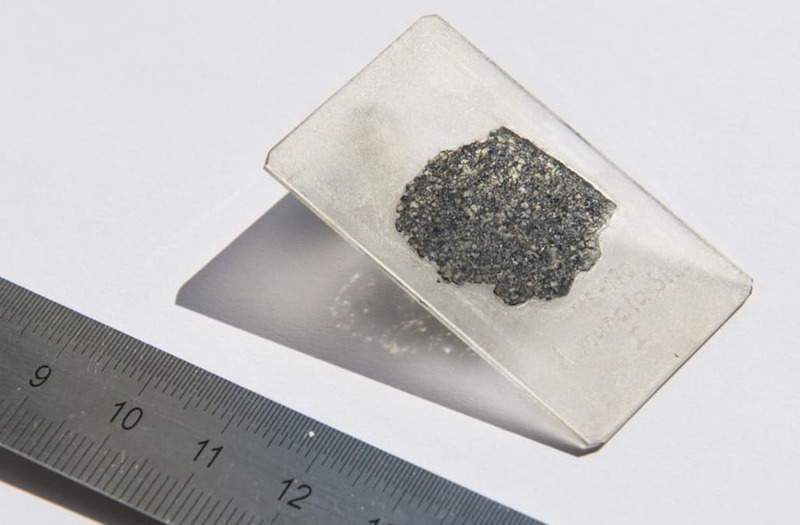 But while many stony meteorites hail from Mars, these were peculiar: They contained a bunch of tiny diamonds. Scientists now think those gems and the impurities found inside them could only come from the heart of a Mercury-to-Mars-size planet. 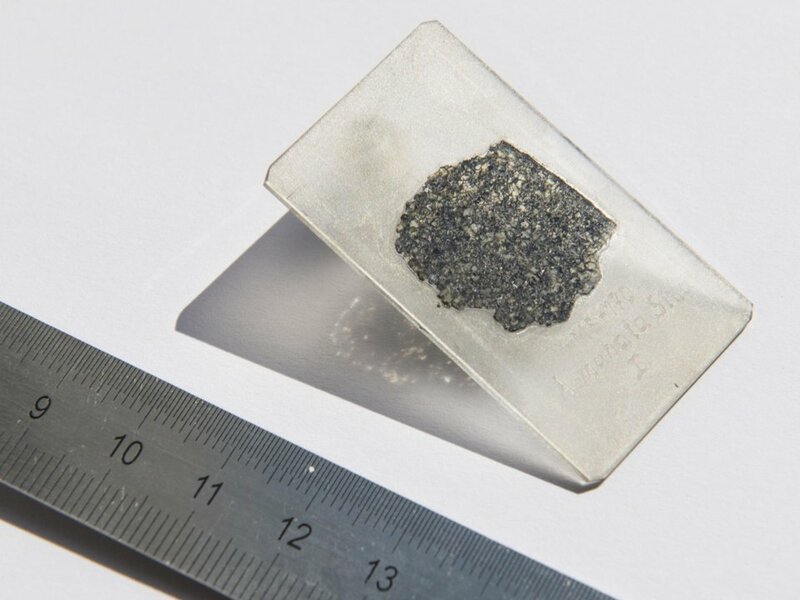 This means the rock that fell to Earth nearly a decade ago was part of a "lost" planet formed — and completely destroyed — at the dawn of the solar system. '[T]his is the first compelling evidence for such a large body that has since disappeared," wrote the authors of a new study, published Monday in Nature Communications. If true, the rocks could be the first pristine samples, or ureilites, of a dead planetary embryo ever recovered on Earth. The diamonds we're familiar with are formed when sheets of carbon called graphite — the same material in pencil lead — is squeezed to incredible pressures. "Diamonds very often encapsulate and trap minerals and melts present in their formation environment, in the form of inclusions," said the authors of the study, which was led by researchers at the Earth and Planetary Science Laboratory in Switzerland. "In terrestrial diamonds, this has allowed to estimate the depth of diamond formation, and to identify the composition and petrology of phases sampled at that depth." 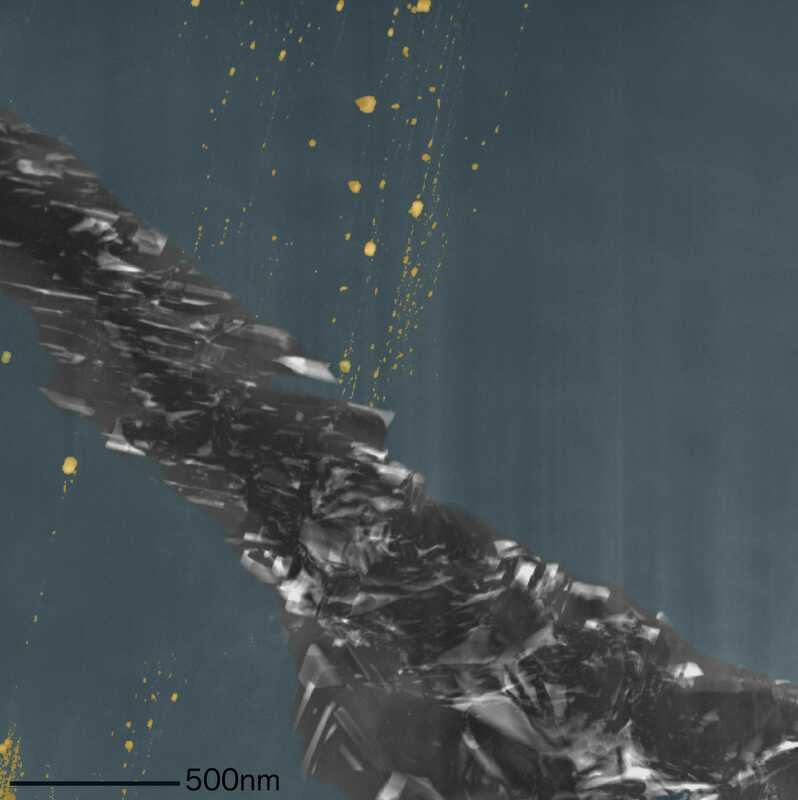 Using those tools, the researchers said, they could discover the conditions under which the diamonds inside asteroid 2008 TC3 might have formed. The images revealed inclusions (impurities) of sulfur, iron, and a mineral called chromite, as well as warping of the diamond crystal and nearby graphite. According to the researchers, this means the diamonds formed at the extreme pressure of 20 gigapascals — about 180 times as crushing as the pressure found at the bottom of the Marianas Trench, the deepest point in Earth's oceans. Because of that, they concluded the diamonds likely formed in an environment found only inside rocky planets. Specifically, the researchers think a rocky, proto-planet "embryo" at least 4,800 miles wide — which formed roughly 10 million years into the solar system's formation — made the diamonds found in asteroid 2008 TC3. "Many planetary formation models have predicted that these planetary embryos existed in the first million years of our solar system, and the study offers compelling evidence for their existence," a press release from the Earth and Planetary Science Laboratory said. Such planetary embryos got ejected from the solar system and either became rogue planets or smashed together. Some collisions formed larger worlds, while others created systems of planets and satellites like Earth and its moon. A mission recently selected by NASA, called Psyche, will launch a spacecraft to the metallic core of a Mars-size planet. That world is called 16 Psyche, and Jim Green, NASA's chief scientist, has described it as "a very large and rare" asteroid located in Asteroid Belt. It's about 155 miles (250 km) wide and thought to be made of pure nickel and covered in ice. The Psyche probe, set to launch in 2022, will visit the dead planet and analyze its secrets. "These missions will help us learn about the infancy of our solar system, a period just 10 million years after the birth of our sun," Green said of Psyche and another mission, Lucy, in a 2017 NASA video.